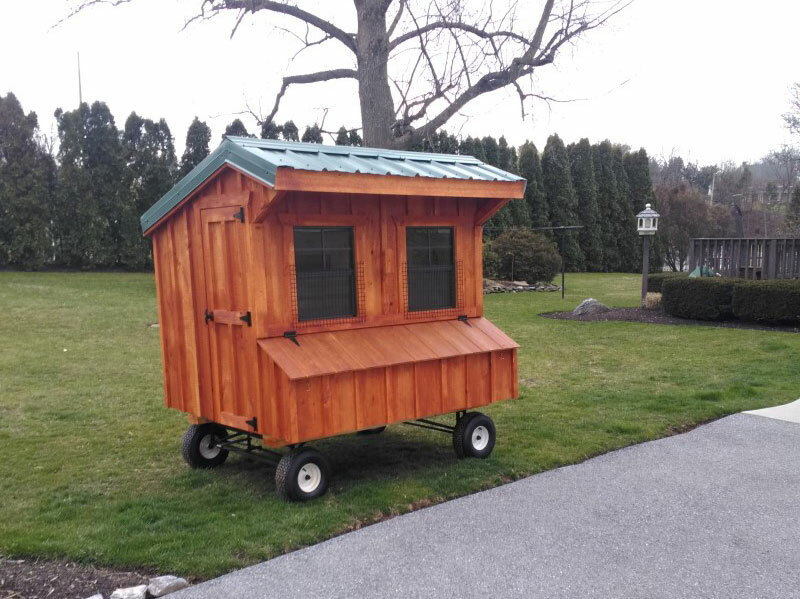 Sun Hill Barns is an Amish chicken coop builder that has had more than 15 years in the business, perfecting their craft so that area farmers and beyond can reap the benefits of our experience and craftsmanship. In those 15 years, Sun Hill Barns has constructed chicken coops of all sizes and shapes, to fit every budget and every sized chicken ranch. We take pride in the fact that every one of the coops we have built has been an expression of genuine Amish skill and attention to detail. 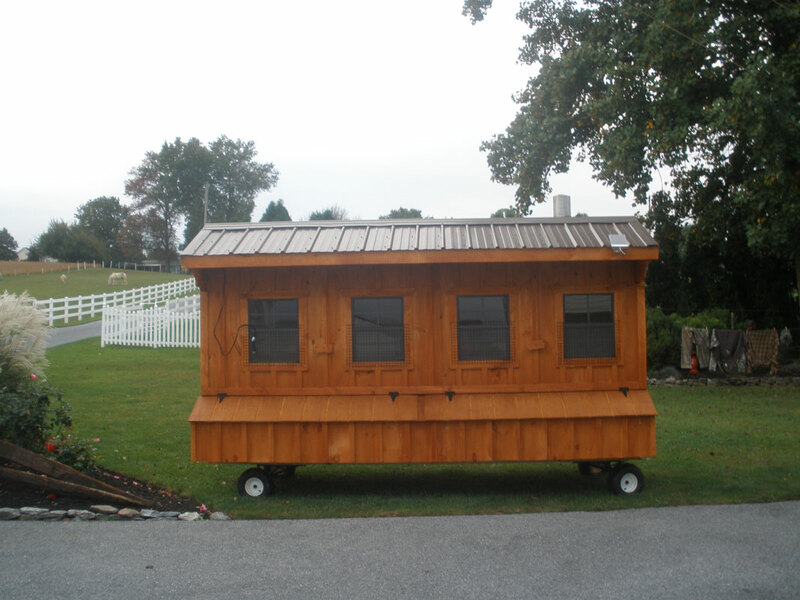 Why Choose an Amish Chicken Coop? 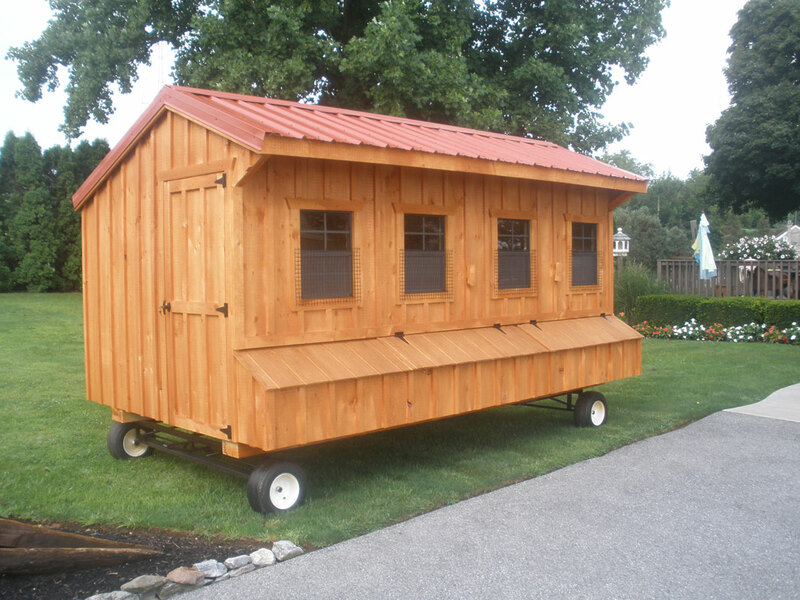 So what makes Amish chicken coops superior to any other? 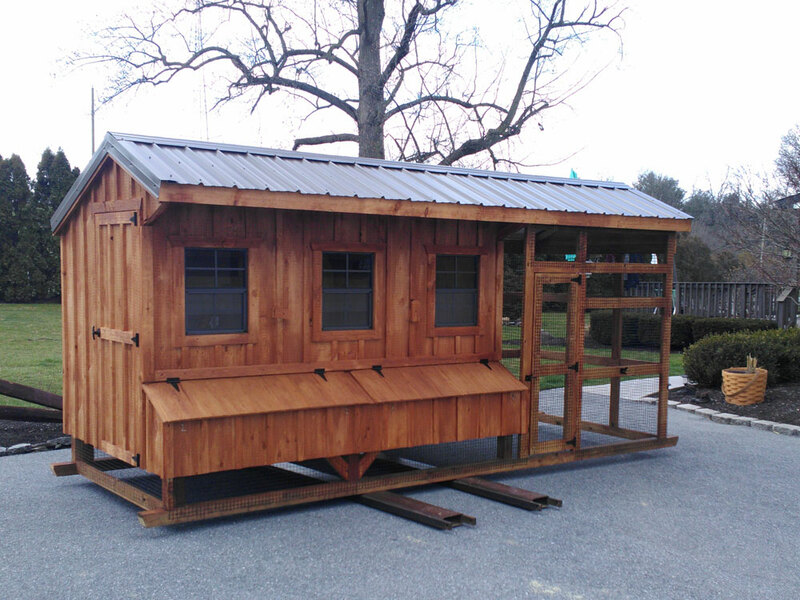 Almost any chicken coop will provide the essentials needed to comfortably house your chickens, but our Amish chicken coops also offer a certain sense of style that gives them an aesthetic appeal as well, which most other structures lack. 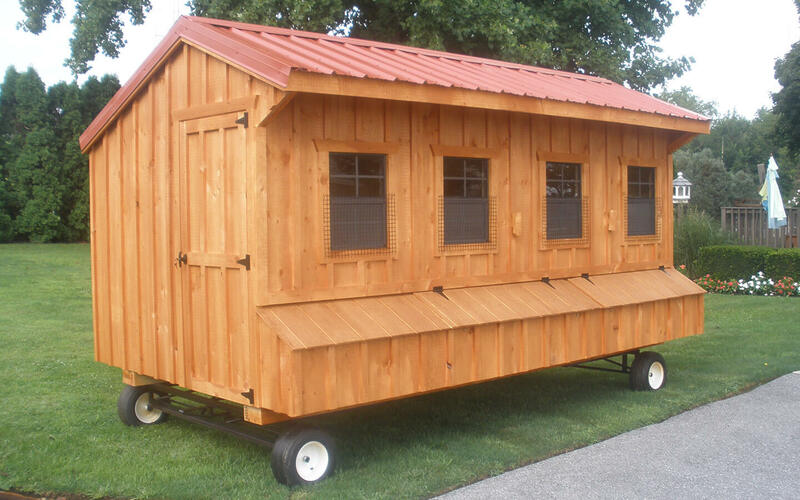 We can custom-build your coop to make it portable, and to allow it to accommodate anywhere between three and 60 birds, so capacity is up to you. 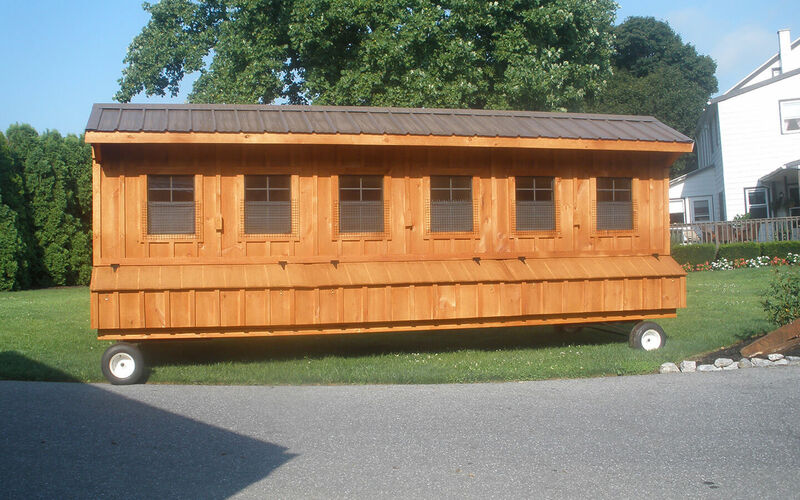 In addition to the flexibility of our layout designs, there are many features which are standard on our Amish chicken coops. First, you can choose from a shingled roof with Tech Shield, or a metal roof with Dubble Bubble insulation to keep your birds protected. Then, you'll appreciate the pine board and batten siding, which is cedar-stained to protect against the elements. The door to the coop will have a keyed entry system, and there will also be a chicken door, complete with ramps and entrances. There will also be slider windows with screens installed, to keep each bird accessible, but safe from intrusion. 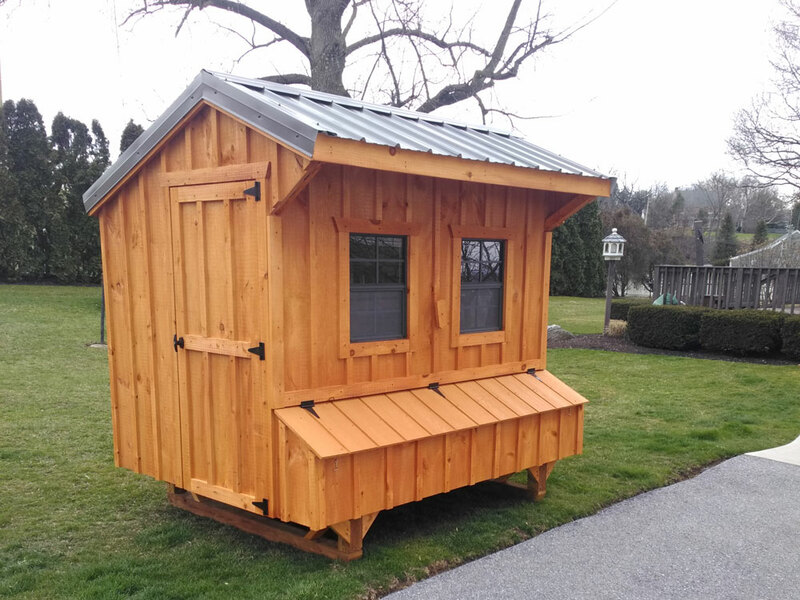 The first benefit, and perhaps the single most important one, is the fact that your Amish chicken coop from Sun Hill Barns is made with all high-quality components that are intended to last for a very long time. 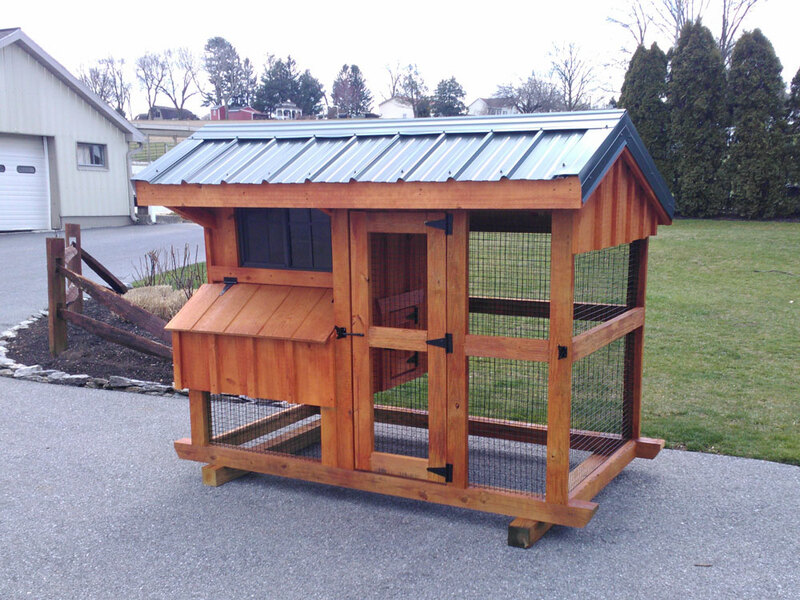 That leads right into the second benefit, which is that this high-quality construction is ideal for providing maximum protection and shelter to your valuable chickens. Since each coop is made specifically for your operation, it will always be the perfect size for housing your birds, and for allowing them to live comfortably, so they remain healthy and content. The outstanding ventilation of each coop contributes to the well-being of the birds and makes them glad to roost in such a favorable environment. All these benefits will make it easier to manage your birds, and the superior craftsmanship will help your coop stand the test of time. Sun Hill Barns offers its Amish chicken coops to any farmer in the Lower 48 states, and many operations have taken advantage of that fact to purchase our superior chicken coops. Our 15 years of experience have helped us become experts at crafting these structures, and the high-quality components we use have always resulted in the best-made chicken coops available anywhere. 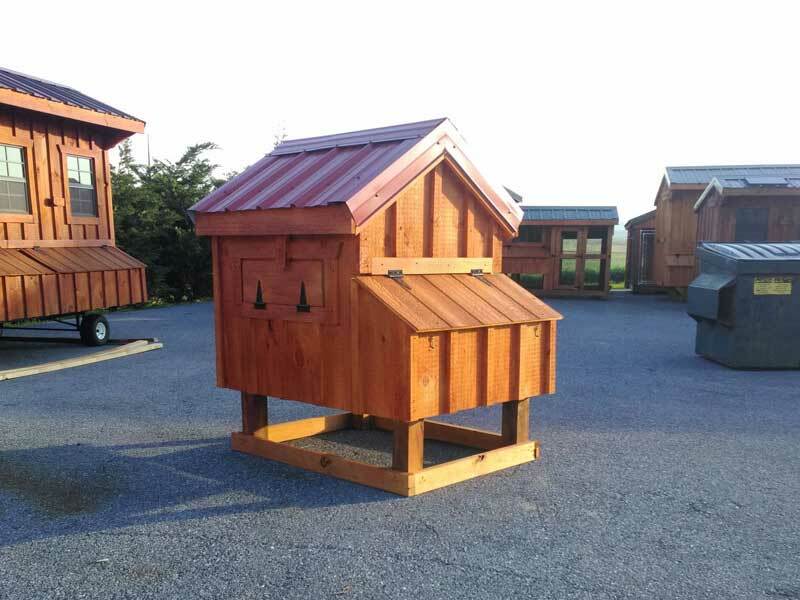 If you'd like to own one of these outstanding chicken coops to house your birds in, please contact us today, so we can provide you with a free quote, or so we can answer any questions you might have.